Who doesn’t love bananas? banana this awesome healthy fruit are delicious by its own and they also an excellent choice to make a delicious dessert or snack it can goes with everything you can eat it drink it or mix it with anything and it will test very good . They are full of fibers and rich in a vitamin and mineral especially potassium. Mr. Monkey loves eating banana and to be quite frankly I use it as pre workout meal before start jumping on the trees all day long and it’s my favorite snack of all time so today I will share with you a 10 easy ,fun and quick ways to enjoy your banana . In blender mix all the ingredients starting by putting bananas first until smooth then add eggs, flour and chocolate chips until combined. Pour the mix into a medium heated pan and cook this awesome pancake until you see the bubbles start to form on the surface then flip it over and cook the other side for 2 mins and you’re done then top it off with maple syrup. 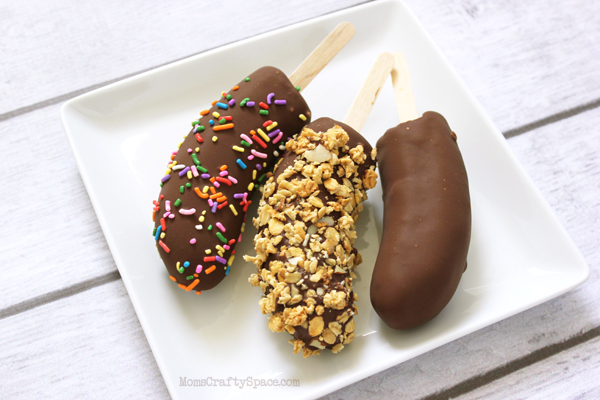 all you need is a frozen bananas stick them in your food processor ,whirl them up until you get a consistency like frozen yogurt and It’s so healthy and you can add caramel ,a little chocolate , some pecans and so on use you creativity . you will need frozen banana , chocolate or vanilla ice cream , vanilla extract and milk ,mix all the ingredients in a blender at high-speed and serve it in individual glasses and top it off with whipped cream and some of your favorite sauce like chocolate sauce, salted caramel sauce. Ingredients: Frozen Strawberries, frozen banana , vanilla ice cream , vanilla extract , milk. In a blender add all ingredients and blend until smooth. 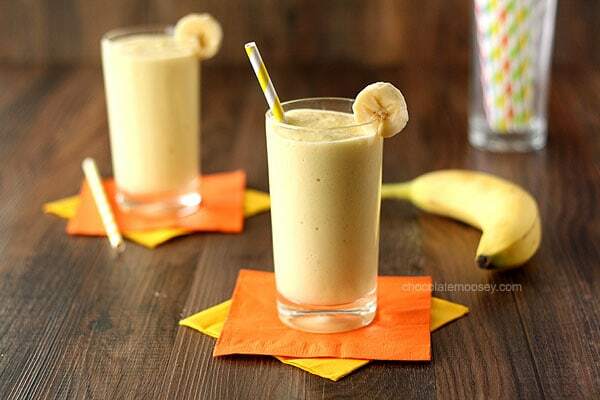 Tip: Using frozen banana helps to get rich, thick and creamy milkshake texture. Ingredients: Frozen banana , almond milk , creamy peanut butter, vanilla extract, ice cubes , cocoa powder and honey, at high-speed blend all ingredients and top it off with mini chocolate chips . Ingredients for one serving: one medium to large banana you can use regular milk or for vegans you can use soy milk or almond milk, one fourth of a cup of instant oats , one tablespoon of maple syrup ,quarter of a teaspoon of cinnamon and 1 tablespoon of peanut butter and mix all the ingredients in the blender and you are ready to go . 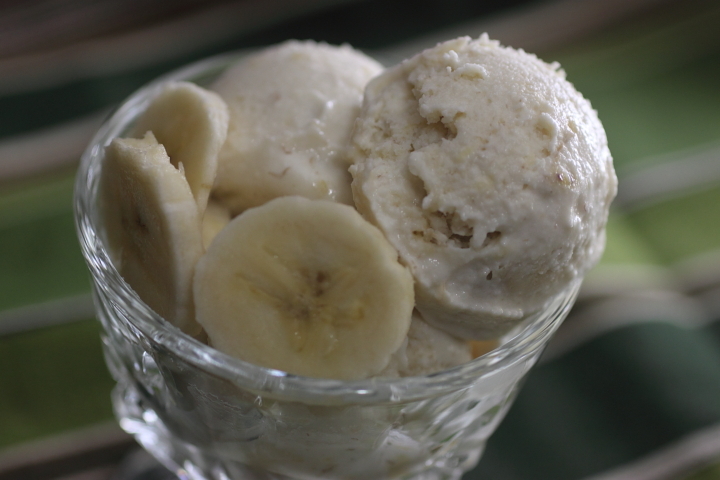 one serving ingredients : In food processor put 2 frozen bananas, 2 tbsp. creamy peanut butter and mix until smooth and for toppings you can use some chocolate chips with chocolate or caramel sauce. All-purpose plain flour, baking powder, pinch of salt and tiny bit of sugar and you can add pinch of cinnamon for extra flavor. In a big bowl start by mixing all the wet ingredients first then add the dry ingredients to get them all incorporated. Preheat your waffle iron and brush it with a little bit of butter pure the mix and cook your waffles for about 5 minutes but the real cooking time depends on your waffle iron manufacturer instructions and then top it off with banana slices with some delicious Nutella . All you need is a Banana, Popsicle sticks and your creativity. For instance you can make Chocolate Banana Pops by cutting the banana in half and put popsicle sticks. Dip into melted chocolate and roll into sprinkles or crushed nuts then place it on parchment paper then throw them back in the freezer and you have this awesome little treat snack any time you want. Another ingredients to try with this easy and fun recipe : mini chocolate chips, peanut butter , crushed graham crackers , coconut shreds ,cinnamon sugar etc. the options are endless use your creativity. 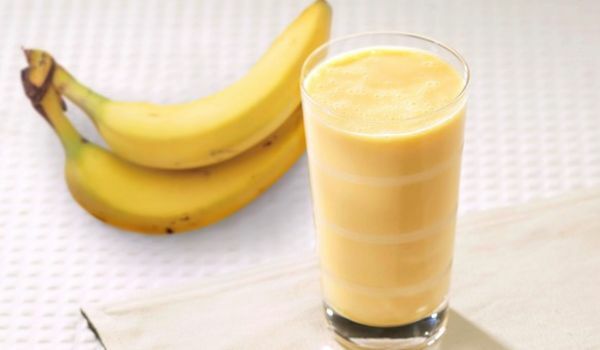 You will need: Frozen Banana, Frozen Mango, Pineapples, coconut water, orange juice, ice cubes, vanilla ice cream and milk. In a blender add all ingredients and blend until smooth and you are ready to enjoy the tropical goodness.